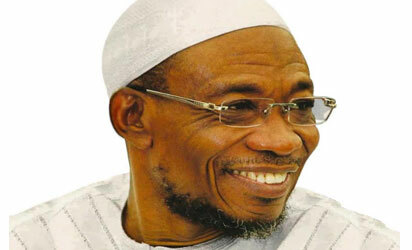 Members of the State Civil Service, yesterday, passed a vote of confidence on Governor Rauf Aregbesola of Osun State for being the architect of modern Osun as reflected in the monumental development and transformation which the state had witnessed in almost eight years of his administration. They spoke through their leaders, the Head of Service, Dr. Festus Oyebade Olowogboyega, who argued that the eight years administration of Governor Aregbesola has transformed and repositioned the civil and public services in the state. Court remands woman, 4 others over alleged cultism, attempted arson Olowogboyega said this while delivering his welcome address during the public service lecture and awards programme jointly organised by the Office of the Head of Service and State of Osun Universal Basic Education Board, SUBEB, at Aurora Events Centre, Osogbo in Osun State. Olowogboyega said: ”Today symbolises the celebration of worthy victory, good governance and exemplary leadership in the annals of civil service in Osun as it remains the first time in the history of the state for an outgoing governor to be openly celebrated and honoured in this manner. The outgoing administration has truly bequeathed a worthy legacy in all sectors of the economy as evidenced in the successful implementation of its policies and programmes since inception. In his remarks, Governor Aregbesola appreciated the rank and file of civil servants in the state for being supportive of his administration since inception.